The Commissioners of Public Works, Spartanburg Water System, furnishes recreational facilities to the public for their use. Spartanburg Water rents pavilions: one of which is adjacent to the R.B. Simms facility, another at Anchor Park at Lake Bowen and three pavilions at Lake Blalock Park. 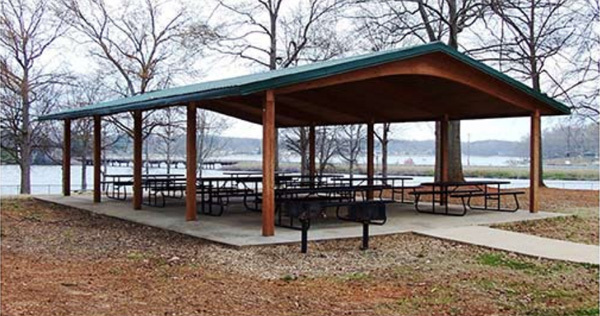 This facility is a covered pavilion with eight picnic tables. It accommodates approximately 50 people. There are two permanent charcoal grills and a public playground available for use.